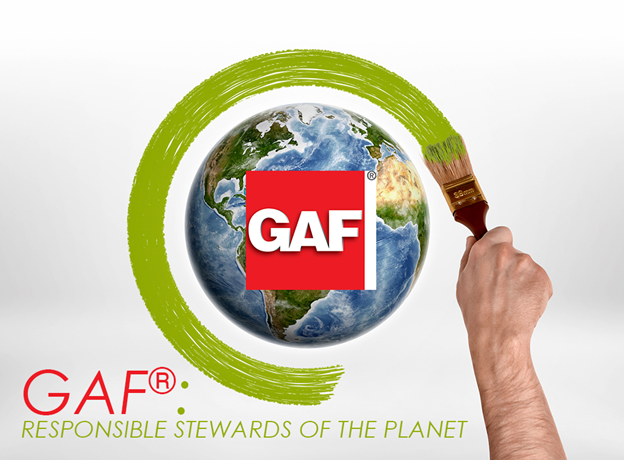 Aside from being North America’s leading roofing manufacturer, GAF® also serves as responsible stewards of the environment. This means they implement and promote practices that will help conserve the planet’s natural resources. These include supporting new energy-efficient technology, optimizing materials, and recycling. They also share their knowledge with other contractors and even certify them to help further their vision of a healthier environment. As one of the GAF Master Elite™ roofing contractors in White Plains, NY, we share the brand’s vision. We take pride in implementing eco-friendly measures that will help preserve the environment. Let’s expound on how we help promote a greener environment. Each GAF-certified facility has a volunteer Green Champion who helps promote sustainability goals such as manufacturing cool roofing. A perfect example of this would be the popular Timberline® Cool shingle roofing. They feature highly reflective surfaces that reduce the amount of heat absorbed by your roof, leading to a cozier home. With this, you do not have to rely too much on your HVAC units, leading to more energy savings. At the same time, this will lessen the amount of green gas emissions, which can harm the environment. We use an energy-savings calculator called CREST to help recommend the right roofing in Fairfield, CT. It should offer the most energy savings to both homeowners and business owners. We also access information and resources that will help us recycle more of our roofs for a greener planet. Being a responsible steward for the environment means upholding the brand’s values. This means you can expect us to deliver superior customer value by doing what’s right for you. We will also implement safety measures for both you and your surroundings. Lastly, we will ensure that we use resources wisely for a sustainable future, while ensuring top-quality in both our products and services. If you’re looking to help save the planet, choose our eco-friendly White Plains roofing from GAF. Call us today at (866) 244-8029 for more information about our green practices.